If you're having trouble moving on from Three Lives Three Worlds Ten Miles of Peach Blossoms 三生三世十里桃花, then wonder no more because the struggle is real or I wouldn't be here still trying to find closure weeks after the finale. It's bad because I haven't been able to watch anything else and I'm supposed to be blogging about dramas 😂. Plot Summary: Bai Qian is a fox goddess from Qing Qiu who pretends to be a young man named Si Yin in order to come under the tutelage of Mo Yuan. Tens and thousands of years later, she is rendered powerless as a human named Su Su and falls into a sweeping romance with Yehua, the crown prince of the heavenly realm. 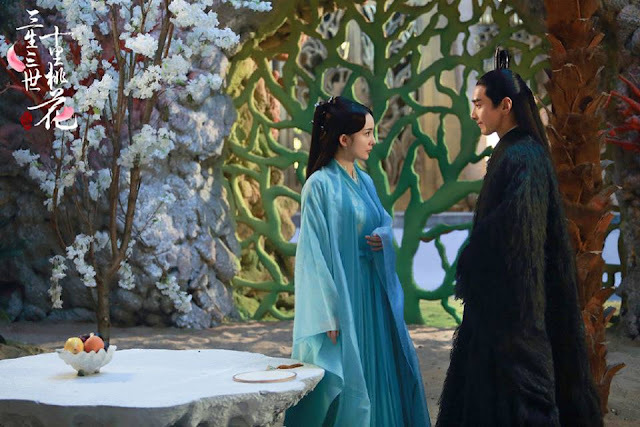 Another chunk of time passes and Bai Qian regains her status as an immortal, meeting Yehua for the first time once more. 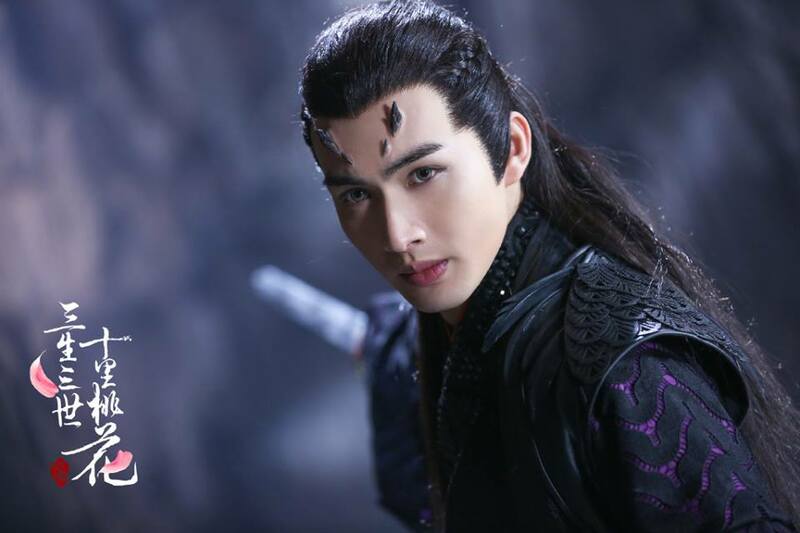 The best thing about the show is rediscovering Mark Chao who hasn't been in a drama since 2009. At 32, he is close in age to popular idols though not quite in the same league, until now that is. Ten Miles is certainly a career-changer for Mark Chao and well-deserved because he was riveting in every nuanced depiction of multiple characters. 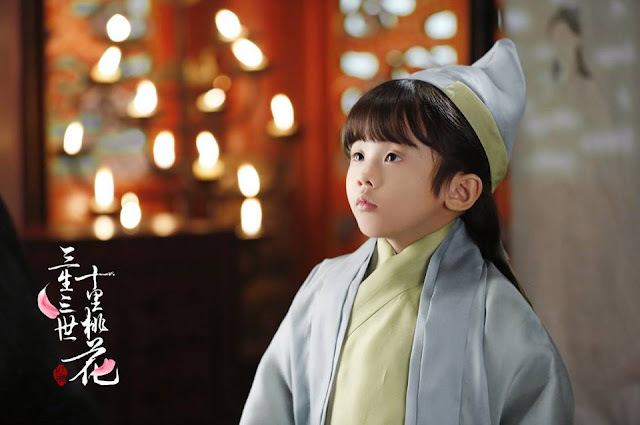 As Mo Yuan, he had an assuredness as Bai Qian's teacher in shining armor. As Zhao Ge, he held a strong conviction buoyed by longing. As Yehua, he was a layered individual, an intensely passionate man taught to dispel his feelings. Yehua's upbringing obviously had the opposite of the intended effect because once he found love, there was no letting go. Yang Mi plays the leading lady that Mark Chao falls for three times. She is very popular but she is also no stranger to being criticized for her acting. While I don't necessarily think that to be true given that Yang Mi started out as a child actress, she does seem to stay within a range of roles as seen in Sword of Legends and Chinese Paladin 3. With Bai Qian, Yang Mi had something to prove and she nailed it, giving a performance that can convert the haters into fans. She became a goddess among goddesses, proud but not arrogant. With Su Su, she retained some of Bai Qian's stubbornness but was visibly changed and humbled by circumstance. When she woke up as Bai Qian once more, her deadened gaze spoke volumes, chalking up all that has happened into a shell of her former self. 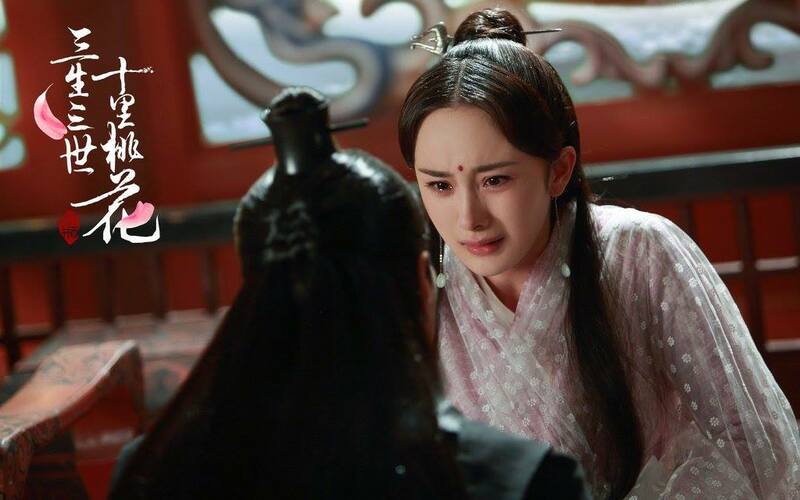 It was one among many emotionally-charged scenes that will have you thinking that yes, Yang Mi can definitely act. Dilraba Dilmurat and Vengo Gao provide a fun and light alternative as Feng Jiu and Donghua, the leads of the sequel to Ten Miles. I really enjoyed their story pre-angst, which pitted an old practically antique god and a sassy fox girl. Their age gap would have been creepy in real life but not here where time is measured in thousands of years. Dilraba's casting won the most nods right off the bat because she is probably one of the few actresses born for the role and she has that innate ability to make cringing aegyo look charming. Vengo Gao didn't get as much love initially but he was a great choice in hindsight. When it comes down to it, the show tackles every trope in the book but never becomes a cliche. Li Jing falls into the water with Bai Qian, setting up the classic underwater scene where someone falls in love. As a handsome, kind-hearted person smitten with the heroine, Li Jing was the perfect candidate for the second lead that you love but won't get the girl especially because it is played by Vin Zhang Bin Bin who has a history as a swoon-worthy second lead. The twist here is that he does gets the girl until before he turns into a douchebag. Even then, he is impossible to hate thanks to the actor behind the character. Sadly, no romance is complete without jealousy rearing its ugly head and Maggie Huang and Zhu Xu Dan take the cake as the show's resident evils. To their credit, seeing them deal their worst and forced to pay their dues afterwards created the show's most epic moments. I said this during my ending recap and I'll say it again, the Heavenly Emperor and Yehua's mother are equally loathsome, they deserved the worst! I was grief-stricken when Yehua took Su Su's eyes, knowing that it was the handiwork of Sujin, but the thing about this show is that you know or hope that payback is coming and that when it comes, it's going to be gratifying (and it is, extremely). On a side note, the eye gouging is probably the only time I truly detested Yehua to the extent that I wished Mo Yuan was around because surely, Mo Yuan would never have allowed any harm to come to Bai Qian. The show makes it clear that Yehua had the best intentions but to me, he was a nice guy making terrible judgments one after the other. Nonetheless, those moments make you sit up and take notice and that is great television. Perhaps the weakest aspect in the show are the silly misunderstandings. I didn't know whether to laugh or cry at the knowledge that all of Su Su's sufferings was because Yehua was engaged to a "someone else," even worse, was when Su Su thought that Yehua was in love with Sujin, yea their names both start with Su. It's forgivable when Bai Qian was Su Su but I feel like Bai Qian should have known better. Then again, Yehua does the same, assuming that the relationship between Bai Qian and Mo Yuan was anything but platonic. It's like watching two generally sensible people toss their common sense out the window, and this continues even after both explicitly declare their love for each other and more. If only Zhe Yan said something, because you see, he knows all. I just rambled endlessly about the heavy stuff but there's a heavy dose of fluff and sunshine to go along. Whenever the main couple are not fighting, they are very sappy. Girl steals a kiss from unsuspecting guy pet snake dragon, guy falls in love and the rest is history. Bai Qian and Yehua's courtship has got to be one of the speediest in dramaland and we're lucky to witness it more than one lifetime. If there is one thing, Yan Zhi and Zilan's story seemed tacked on a little too late. 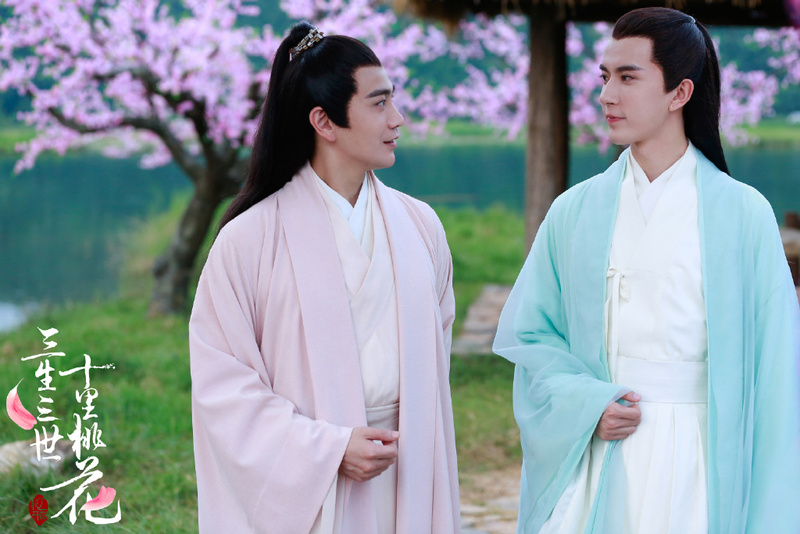 Compared to Zhe Yan and Bai Zhen's bromance which was established from the beginning, theirs just didn't carry much weight. I still don't mind it because every one of the characters from the oldest Donghua down to the youngest Ah Li (who was so so adorable) added a little something extra to the show. Special mention to Si Ming and 3rd Prince who delivered humor in the form of witty comebacks. I am a fantasy junkie so an exquisite world with dragons, foxes, winged demons and mermaids is enticing enough, but the show blew my expectations out of the water with everything else. There is no broader picture to dissect aside from a straight up romance brought to life by people with amazing chemistry and that simplicity is spectacular in its own right. When the first stills came out especially of Mark Chao, not a lot of people trusted that it'd do well because the visuals seemed less than ideal (the Sadako hair scared me at first). The show and its cast became underdogs in that sense but I am not surprised that it became a massive hit because it is that good. Me too. Every time I watch it. I felt like it's my first time watching it. The chemistry between the two lead are amazing. I have never seen such a love story that captured me like this drama before. I wish they make a longer episodes. Like 80 episode, maybe more lol. Especially I wish the director would not cut out all the intimate moments between Bai Qian and Ye Hua. Thank you dramapanda for the recap!! Love fantasy c dramas.. idk if anything for awhile can top this! I couldn't get over the show and stopped watching some kdramas Bc of this. Even now I am still rewatching it! Haha. Thanks for the review. I agree with all you said. I had my love for drama and the like before and after 10 Miles of Peach Blossoms. I stopped everything else to watch it. I wached it twice and I am on my 3rd watch. This time slow since I want to enjoy it to the fullest. I am sad it ended. I with they do season 2 with 60 more episodes. I love this drama so much I have doubts I can watch something similar. I hope I can. My absolute maximum points for this drama. It is an absolute must watch. Yes I really loved this drama too one of e best I've watched in a v v Long time. Recently I've watched n dropped a lot of dramas halfway becos it was hard for me to watch e next episode. I then I found this gem, I watched e 1st few episodes without expecting much and initially tot YM as Disciple SY wasn't convincing enough. Later on e show hooked me and YM as SS and BQ started to grow on me. MC was my most fav actor there as well as everyone's hahah.. I think without him e show wouldn't have been so successful. Initially I tot I wouldn't like any other actor aside from Wallace Huo act as shifu but MC proved me wrong. 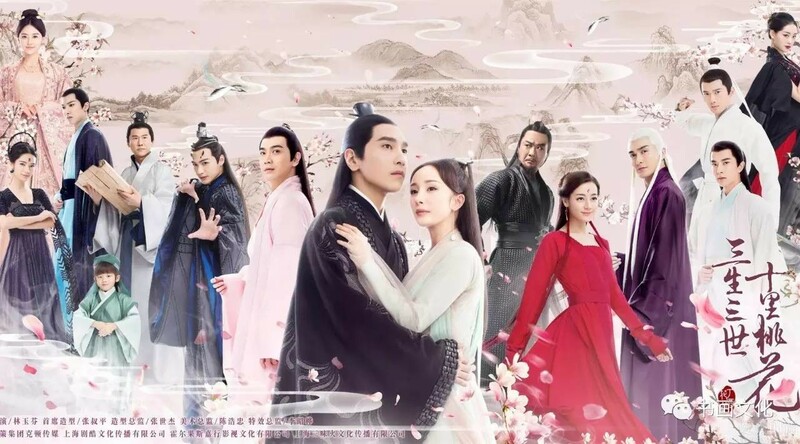 I actually did a comparison of Journey of Flower with this show at e beginning few episodes but both have their strong points and talented cast, however I much like this love story and ending compared to JoF. I had strong withdrawal after watching this n had to go read e book including e sequel to get over it. yess! you say all the things I wanted to say as well.. thought it was just okay when MY and SY were onscreen, had beautiful visuals and a decent story but the more I watched the more it become phenomenal. I cant compare much with JoF, i'm one of the few who didn't like it for some reason. Thanks for this. As a lot of people have said, I'm unwilling and not ready to move on. I'm on my 5th watch i believe. Every time i remember the rubbish said about Mark before it aired, I get this smile. Now everyone has eaten their words because he was simply THAT good. To me, he was a revelation and a strong factor in the success. He was crazy good. Playing 3 roles perfectly and what i loved was he didn't have to play either of those roles flamboyantly to be different. Both Yehua and MoYuan are quiet characters but no way would you mistake one for the other. He played Yehua to perfection. Every turmoil, every emotion was done impeccably. I am gushing i know, but he fully deserves it and more. I hope he gets another great drama soon. This is my best role of YangMi. she also did a very good job playing 3 roles and their chemistry was great. Enjoyed Dilereba before she became a simpering mess. Vengao was hot but the weakest acting link amongst the leads. ZBB has a great future ahead! Such screen presence. I also really liked SiMing and Third prince. As you said, the drama threw almost all the cliches but it worked and still seemed fresh. The costumes were so amazing (especially Ghost realm! LJ had some amazing robes!!!) and the CGI wasn't too bad. Gah whoever's reading the review should scroll to comments section, so many good points being made:) I really like your breakdown of how he was so perfect in this role and how both Mo Yuan and Yehua are so similar but not. CGI wasn't perfect but it's in 'great' territory for me, loved the visuals and found it way better than most. Not to bash Ice Fantasy but I automatically think of it in comparison and Ten Miles' understated CGI just comes off more real. I can't move on either. I have been re-watching episodes over and over. What is it about this drama. It is only my second Chinese Drama, but it has left an impression on me. Very nice recap, thank you. And you're right: it is an absolutely fabulous show worthy and deserving of all the accolades it can reap. As expected, I'm still consuming it piecemeal (have to becoherent for work) in the reassuring knowledge of a HEA for divine Ye Hua and Bai Qian. Even though I haven't seen it completely yet, this show has joined my list of favourites and for its timeless quality will probably stay there for years to come. Hello! I've been following your blog for a while, but it's my first time commenting because I cannot agree with you more!! I'm so glad someone is still talking about Ten Miles of Peach Blossoms haha, because I am also, still in withdrawal. I keep searching for dramas that are similar but nothing can remotely compare to it sadly. I am just now eagerly waiting for the movie to be released. For me, this drama has become my daily fix because it like no matter how many time I watch it never gets old. 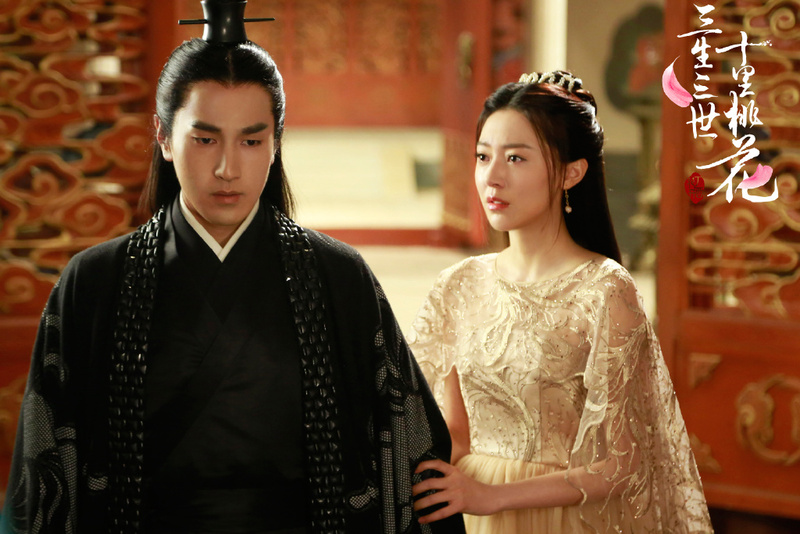 I need more Mark Chao and Yang Mi right now. It got so bad, I have even read and reread the Book version for a extra fix. Help me!!! For the silly misunderstandings I think people aren't clear when they are in love, especially with their love, his character who didn't say much and her character who had a lot of doubt and question from a heartbreak. When it's clearer for us, who look at it from the outside. That's why YH, who is supposed to be smart, kept making stupid decision whenever Susu or BQ involved. BQ, on the other hand, remembered he never actually said he loves Susu or missed her, but he is really deep in love with BQ self... so I can see why he is doing it out of guilt too. Hmm, I hadn't thought of it that way. I guess outside looking in does give us a much better perspective and to BQ and YH's credit, the misunderstandings were actually reasonable to some extent. It's not any less frustrating though because it would've been avoided if the couple who were so in love just had more trust in each other. Take what happened to human YH, waiting for BQ who never came, that was so sad. lol, i don't know if it counts as moved on if I'm still browsing thru Ten Miles comments... I am shopping for a new drama tho so in that sense I have. Ooh, listen to the OST while you're at it, I didn't get to talk about the music but it was so beautiful and really fitting the theme of the entire drama. Yes one of e best drama OST.. I'm now reading e book including e sequel Pillow Book. I so much prefer e FengJiu and DongHua in e book. FengJiu in Pillow book wasn't so clingy and desperate. As for drama version I felt so embarrassed for her and a few times I find myself wanting to skip DH/FJ parts. They changed e story a lot for e drama version, sigh.. hopefully e sequel drama will be similar to e successful adaption of TMoPB. For those that love MoYuan and dun mind reading fanfic can read it at e blog below, it's about MoYuan and ShaoWan. Do you know where to get the ebook for 3L3W in english? I can't stop re watching this drama, now re watching the series again on my 8th times!...and to top it of, I can't help comparing others to this one too! This is how great & how much I love this series - one of the best one of all time! I need to detox from this series...help! Honestly, I have so much anticipation for the movie. The drama was above and beyond. 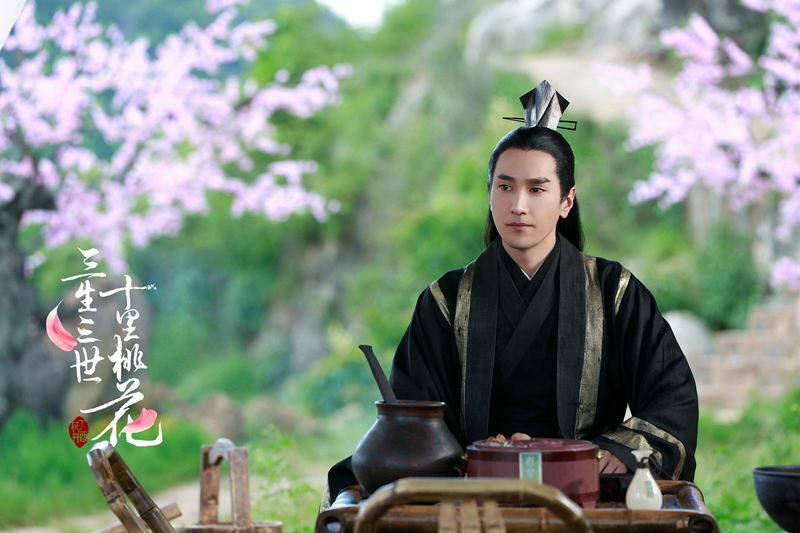 I never thought that i'll love fantasy drama until I watch Ten Miles of Peach Blossoms. it's really good. I hope i can wake up one morning and forget about TMoPB and rewatch it again as if i never watched it before, LoL. Should I ask Zhe Yan for the potion? I really like Yang Mi. 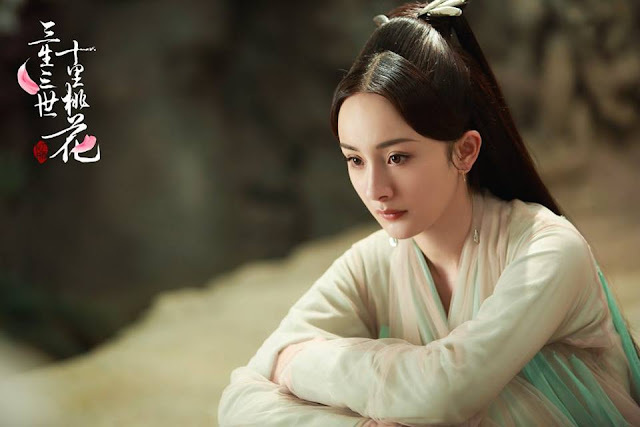 Even though it's only for short time, her portrayal of Xuan Nu give some impact as well. ABSOLUTELY LOVED THIS SHOW!!! does anyone know if they will have a sequel??? the entire show was revolved around their wedding but it never happened :( we need to see that!!! I don't speak Chinese or have a full understanding of the culture just yet, but whoever wrote this was a very talented person. Everyone who was involved in making this happen, I am truly grateful for this show. I cried so much during this show. I never really cry at things that much, but out of all the shows I watched, this show is by far the greatest show I have seen. I would watch this over and over again. I know I'm a year and a half late to the show, but I really love this show. It was so awesone!